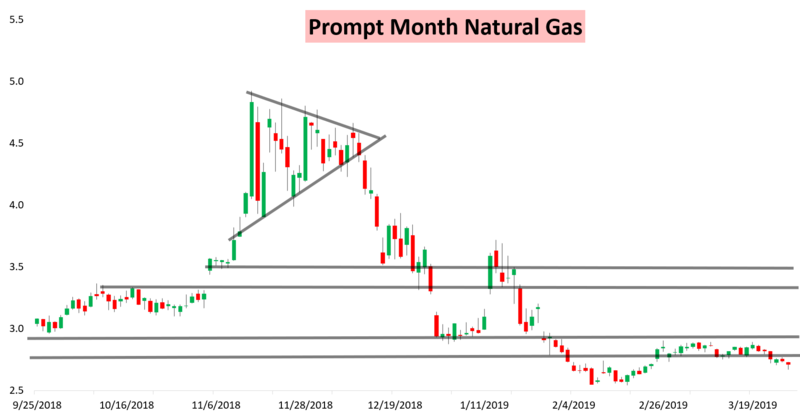 The April natural gas contract sold off hard through the morning, and though it attempted to bounce into the expiry still wound up expiring lower by about a percent on the day. As expected the April contract showed some relative strength into expiry, with the rest of the curve getting hit about equally. The result is that the April/May contract spread went off the board at a very slight contango of -6 ticks. In our Morning Update for subscribers, we held a Neutral sentiment but highlighted that due to our reading of today's supply/demand balance, "we would look for April and eventually May gas to creep towards at least the $2.7 level over the next day or two, with any bounce or support at the front of the curve due to expiry temporary." This is exactly what played out, with the May contract heading to $2.7 before bouncing right around expiry. 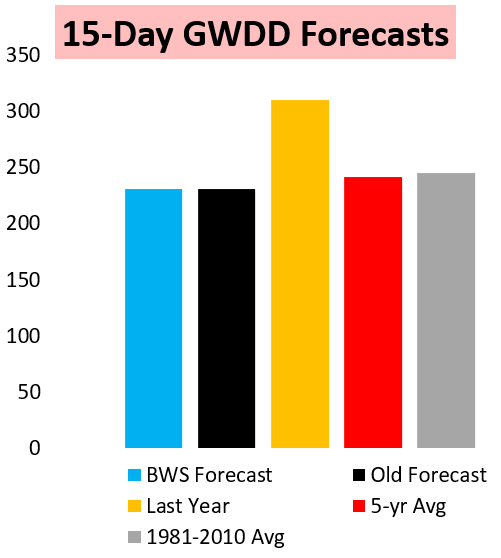 Both these factors came despite only minimal overnight GWDD changes. 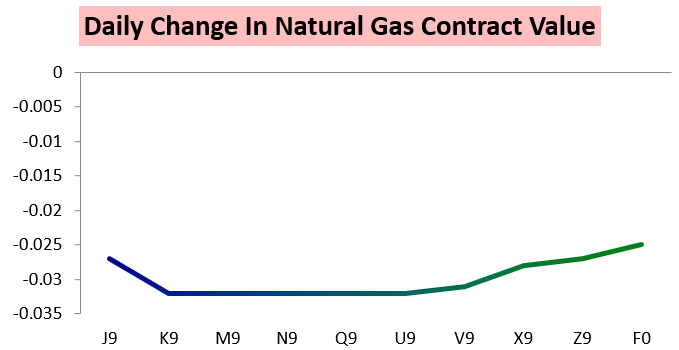 Now, gas traders are turning their attention to tomorrow's EIA storage number. The market expectation is for a draw slightly smaller than what was observed last week, as we saw slightly less weather-driven demand. Early estimates show as well this could be the final storage draw of the season, with next week a small injection potentially being announced. 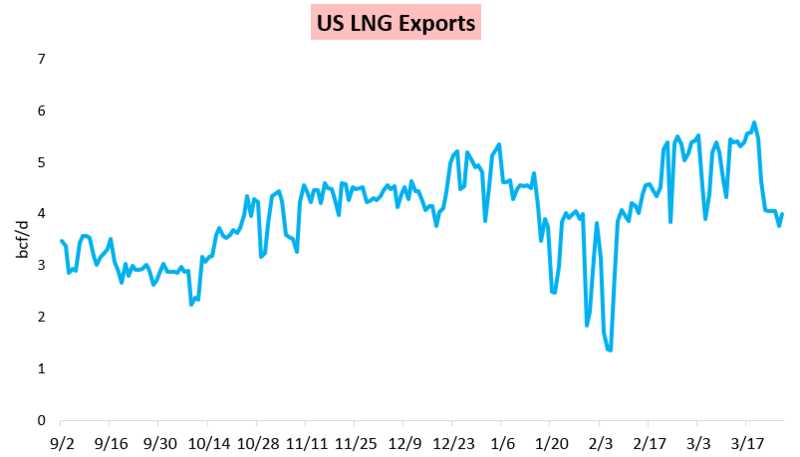 While it previously had appeared that next week a small draw could be announced, maintenance on the Sabine Pass LNG export facility has limited exports more than expected through the week. 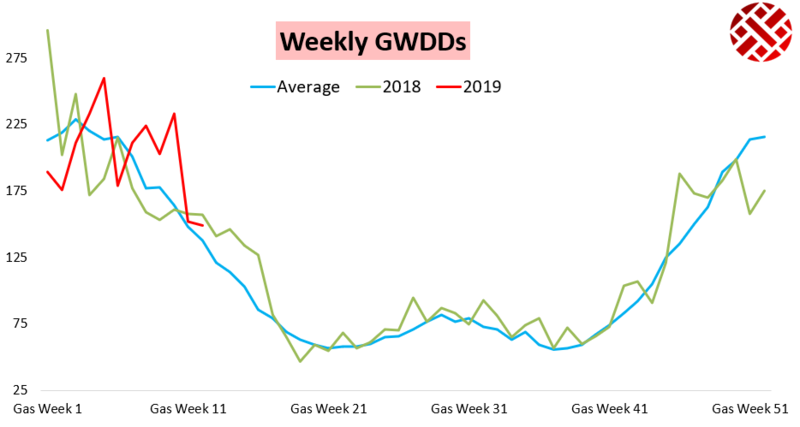 Of course this is just one of the many factors we monitor on a daily basis, and in our Note of the Day we include the latest daily balance data including that LNG export estimate, weather-adjusted power burns and demand, and the latest supply estimates. 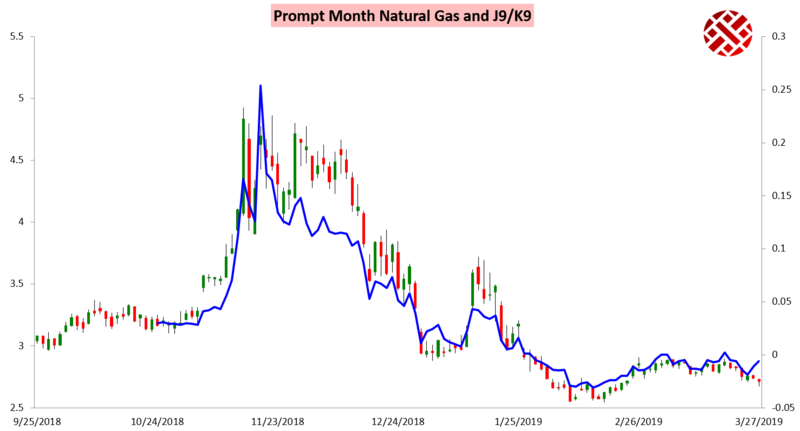 To give this report a look, and view all our detailed weather and natural gas-driven analysis, try out a 10-day free trial here.